The day got away from me and I nearly forgot to continue with the next part in the common pet toxin series. Last week, garlic and onions took center stage. This week it's grapes and their shriveled sweet counterparts, raisins. For many years people have used raisins for training treats in all species, especially dogs. It wasn't until 1989 that the veterinary community started to notice a trend. Around that time, more cases of acute kidney failure were being reported in dogs who had either eaten grapes or raisins. At that time the Animal Poison Control Center didn't have any idea why these dogs were getting sick from these kinds of fruit, but they continued to collect the data and search for any and all common factors and trends. To this day, there haven't been any breakthroughs. Whether the grapes were fresh from the vine, sold in stores as organic or not, with or without seeds, or different colors, the outcome was still the same. 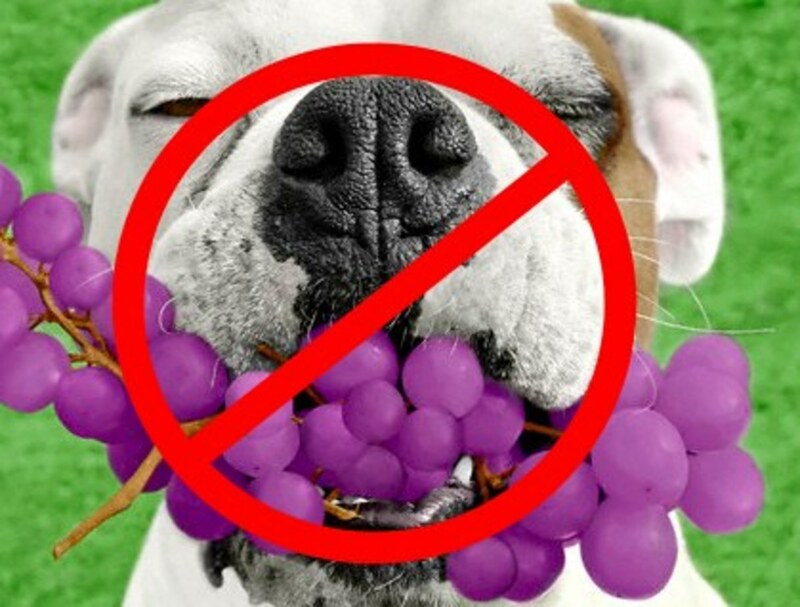 SOME dogs who ingested enough grapes and raisins for their body developed kidney failure. A few never recovered. Most made it after aggressive intervention and therapy. Anywhere from 24 hours to several days after the dogs eat grapes or raisins, veterinarians can detect abnormalities in blood tests. Consistently they would find hypercalcemia (elevated calcium levels), elevated blood urea nitrogen, creatinine and phosphorus. These all point to damage to the kidneys. At this point in time, you can't tell if it's irreversible. The animal must be treated with aggressive fluid therapy to help flush the kidneys and maybe the remaining toxin out of the system. How can you tell if your dog ate grapes or raisins? Many will have vomiting within a few hours of ingesting them and have bits or whole fruit present in the vomitus. 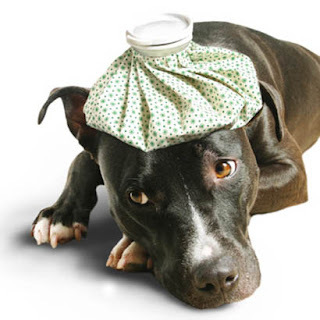 This kind of evidence definitely helps you determine that your pet needs immediate attention by your veterinarian or local veterinary emergency facility. If you are in the majority of pet owners, you won't see the initial symptoms but would see anorexia and probably diarrhea. Fast on the heals of that would find the dogs developing lethargy and signs of abdominal pain: stretching out like in a praying or downward dog yoga position. There have been cases where these symptoms have gone on for several days or even weeks. Why do these dog's become so ill? No one knows. They've tested for pesticides, heavy metals, mycotoxins (fungal contaminants)...anything that could be a common link between the cases and still NOTHING. All tests have come up negative. Even grapes that have been privately grown without any insecticides, fertilizers or antifungals used on the plants or fruit have been involved in these toxicities. Is any amount of grapes or raisins considered below the toxic level? At this point in time, that is also an unknown. We do know that since raisins are dried grapes and felt to be more concentrated, it would take less raisins to make a dog sick. Researchers have come up with some general guidelines, but again all patients are different. They don't all follow the "rules" so any grape or raisin ingestion is best to be avoided. It looks like 0.5 OUNCES of grapes per pound of the dog's body weight would be enough to cause symptoms. So it would take 5 ounces of grapes to make a 10 pound dog sick. It would take as little as 2 ounces of raisins or one of those little snack size packages to make the same sized dog ill.
What about other animals? Do they get the same symptoms? So far it's only seen in dogs, but when I practiced in Michigan and still saw ferrets (before I became highly allergic!) 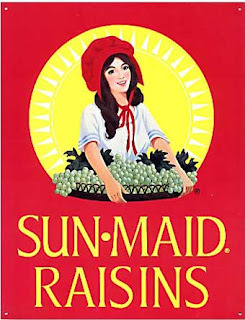 we did start telling those owners to not feed grapes or raisins to them just to be safe. I never had a confirmed case of kidney failure from grapes or raisins in a ferret and haven't seen any in the literature. As for cats...well, they make up their own rules about everything. 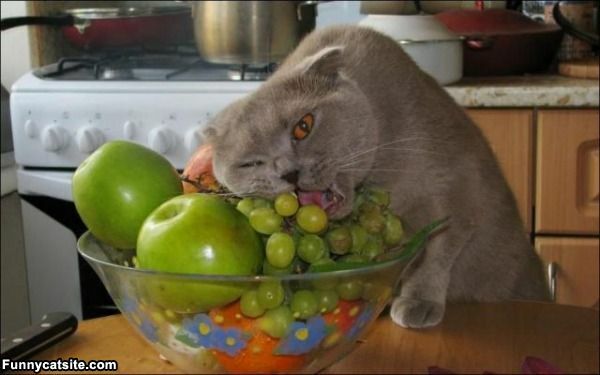 Most cats won't eat a grape or raisin if their life depended on it. Unfortunately so many other things end up being toxic to cats that it's just best to NOT have these fruits out for them to try. The feline doesn't need any other excuse to get kidney failure than it already has! Sure, we can giggle about that, but it's true. Cats are so much more sensitive to toxicities than their canine counterparts. So just keep the grapes and raisins for the humans in your family and away from your furbabies. This includes juices, cookies, fruit bars, cakes and breads with these fruits too. Wine is another story altogether and will be covered in alcohol toxicity. For now, I'll leave you with a way your furry friends CAN enjoy raisins. Thanks for this blog, Tammy! My husband will feed his dog anything under the sun....most typically she will eat anything under the sun, too! This was very helpful and I look forward to other pet information....we have a cat, too! I've got more coming up dealing with chocolate, alcohol, plants and other toxins. Cats tend to have issues with everything so it's best to assume EVERYTHING is toxic for them! LOL! Human medications are another problem that comes up in my patients. I have 20 years of stuff to share with everyone!